Whenever disasters like flooding or storm damage occur and you need the assistance of professionals, get in touch with 911 Restoration Metro East and allow our water damage Glen Carbon team to handle those water issues for you. We want to make sure that your home remains in good shape and any further trouble is avoided so our specialists will be there within 45 minutes of your emergency call to handle repairs and restorations. Our technicians are IICRC certified. This means they’ve undergone rigorous training to be able to handle various water-related concerns including roof leaks, sewage backups, pipe bursts, and flooding. 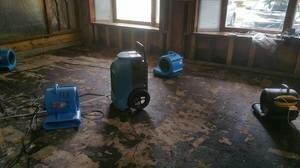 You can rest assured that only the highest level of quality when it comes to water damage repair and restoration. We’ll be working with only your absolute satisfaction in mind so you can get a fresh start right away! Your home is constantly exposed to a variety of weather conditions every day. Eventually heavy rain can lead to water damage by way of a roof leak or flooding. These kinds of issues can occur when you least expect them, but 911 Restoration will be ready to answer the call. 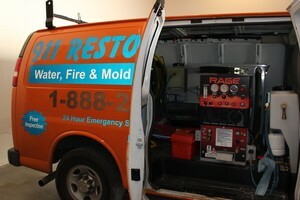 We are available 24/7 to handle any water damage concerns you may have. Whatever the problem, you rest assured that we will offer you comprehensive solutions that always give you and your home a fresh start. With our water damage Glen Carbon team’s work, we’ll make sure your home gets back to being safe and comfortable for you and your family. With our quick response, day or night availability, advanced equipment, and training, 911 Restoration Metro East is the company that will make sure that any water damage disaster you’re facing is dealing with speed and care. Upon our arrival to your property, you can expect our team to spring into action right away by conducting a free inspection and estimate. This will give us a better understanding of your concern and will allow us to provide you with our expert recommendations. Our estimate will also help us determine the most affordable price for the services your home needs. We work with your convenience in mind as well. Aside from the inspection, we’re going to help you file your insurance claims by working with your insurance company. 911 Restoration’s comprehensive solutions to all of your water concerns aim to provide you with a fresh start! Give us a call today!